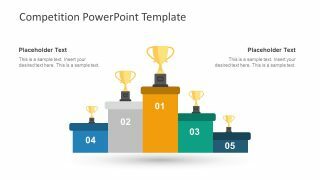 The Competition PowerPoint Template is an amazing set of contest-related slides. It can be anything like sports, media wars, social statistics or businesses. The graphics of racing, podium, and trophies set the tone of competition. The background of the template is plain white. It provides the users with plenty of room to play around with options and creative imagination. For example, adding a high-resolution photo aiding to the contest theme. Similarly, change the color, pattern, gradients, and translucent effects from background format toolkit. 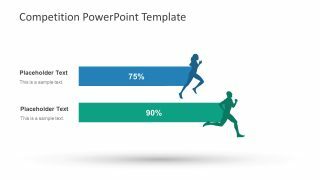 The template consists of five slides representing data charts. Even though the slides illustrate racing i.e. Olympic sport, it can also represent an interesting marketing competition in a professional environment. 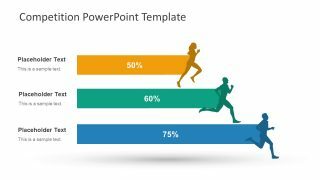 The Competition PowerPoint Template shows 2, 3 and 4 horizontal bar layouts of racing. Each bar contains the text placeholders on the left and silhouette of athletes on the right side. Moreover, the horizontal bars have text filed with percentage amount which user can change as necessary. The shapes of PowerPoint and silhouette clipart icons are editable elements. The users can change the solid fill colors, resize the objects or add the number of effects to the design. 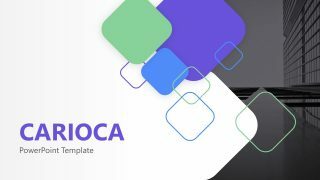 The competitor analysis PowerPoint presentation can also help demonstrate the progress of a business project. Because, this way, the presenter can explain the efforts of the team in the process timeline. 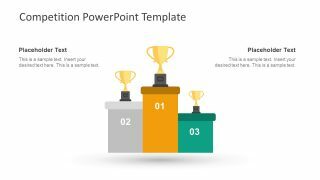 The PowerPoint template for competitions contains the illustration of the podium in the last two slides. These are the three and five position podium layouts. 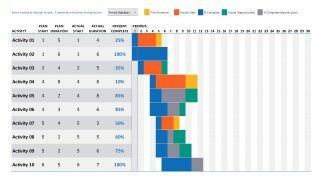 Although these designs are an exceptional tool for making a competitor’s analysis presentation. 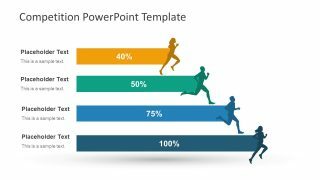 The business professionals can make a challenging sales targets presentation. The visual of sporty competition metaphorically demonstrate the goals of an individual or a company. 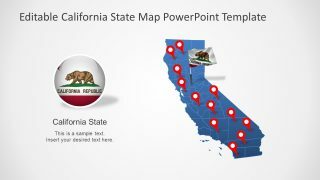 The presenter can copy one or more slides into the main PowerPoint. 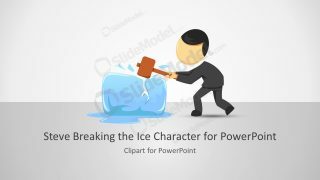 Furthermore, due to no background color, the slides can easily adapt to the theme of the main presentation.